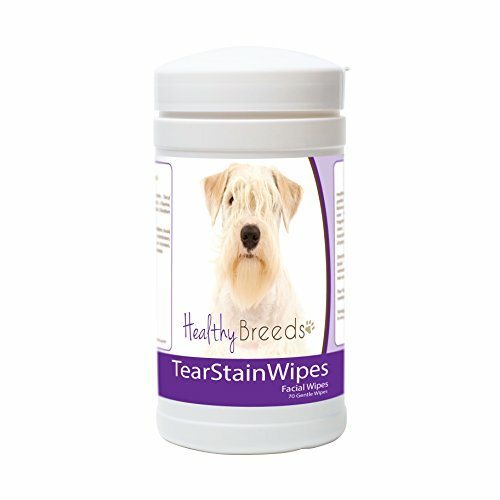 Healthy Breeds Tear-Stain Facial Wipes provide gentle cleansing action for the face and eye area. Removes tear and saliva stains and helps to keep eyes free and clear from discharge. START REMOVING TEAR/SALIVA STAINS - Wipe twice a day to start seeing improvements in your dog's tear stains or saliva stains! EASY AND SIMPLE - Perfect to wipe, clean and throw away! It is that quick! Mild and fragrance-free formula keeps your pet's face clean, fresh and odor-free! MADE IN THE USA - Buy with confidence! All Healthy Breeds Wipes are made in federally regulated manufacturing facilities! Excellent customer service and return policy. 100% satisfaction guaranteed!